–The 2018 MTV Video Music Awards will be the 35th annual presentation. –The 2017 Video Music Awards drew nearly a million fewer viewers than the previous year. –The 2018 Video Music Awards will take place on August 20, 2018. The MTV Video Music Awards soldiers on although much like the network in which it airs its place in the new world of digital content is dubious at best. The show abandoned any pretense of being ‘edgy’ or outside of the nexus of the mainstream corporate music industry. Today, it’s much like the Grammy Awards–the same ‘mainstream’ artists win award after award as an ever shrinking ‘lowest common denominator’ audience looks on. It’s amazing how quickly and how decisively the VMA’s audience has declined. In 2011 the show did a 10.8 rating with a viewership of 12.4 million. In 2012, the show did a 2.8 rating with just 6.13 million viewers. At least the network had an excuse that year–the party line was that the rescheduling of the show from 9 PM to 8 PM to avoid conflict with President Obama’s speech at the Democratic National Convention. Unfortunately, the decline has continued and there are no more excuses. The VMA’s rebounded in 2013 with a 7.8 rating and a viewership of 10.1 million though that was two points and over 2 million viewers less than 2011. Since then the bottom has fallen out. In 2014, the VMA’s lost nearly 2 million more viewers and in 2015 they lost over 3 million more. This happened despite a tactical move to beef up viewership–the VMA’s were shown on all of MTV’s ‘sister networks’. The bleeding continued in 2016 with the audience dropping to 3.3 million on MTV and to 6.5 million across platforms. In 2017, they lost nearly a million more viewers across all platforms dropping to 5.68 million viewers. The decision to air live against the Game of Thrones finale is either a completely boneheaded scheduling move or a tactical decision made to provide a ready made excuse for a poor viewership number. 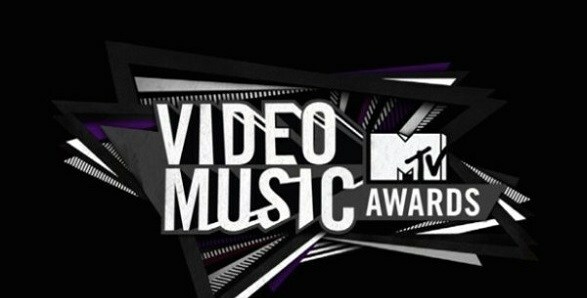 MTV remains committed to the VMA’s though have suggested that ‘changes might be necessary’ due to ‘audience shift’. It’s the same ‘audience shift’ that has resulted in the Emmy Awards’ viewership declining year after year but the bad news for MTV is the same–the audience has ‘shifted’ and they’re not coming back. MTV may survive in some form or another but the entire concept of ‘consensus television’ is over. There are too many options both in terms of content available to the consumer and viewing methods at their disposal. MTV gets hit coming and going with the VMA’s–it’s an outdated programming vehicle (the awards show) celebrating the flatlining mainstream music industry. DRAKE TOTAL MTV VIDEO MUSIC AWARDS WON? CHILDISH GAMBINO TOTAL MTV VIDEO MUSIC AWARDS WON? CARDI B TOTAL MTV VIDEO MUSIC AWARDS WON? JAY-Z AND BEYONCE TOTAL MTV VIDEO MUSIC AWARDS WON? BRUNO MARS TOTAL MTV VIDEO MUSIC AWARDS WON? TAYLOR SWIFT TOTAL MTV VIDEO MUSIC AWARDS WON?